The Women's March needs you this Saturday. The stakes have never been higher. 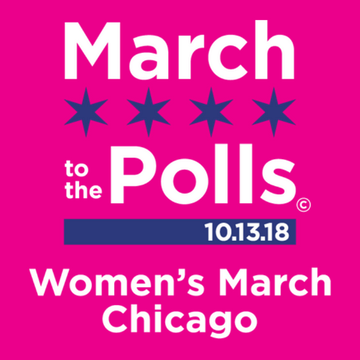 Join people from all across Chicago and the Midwest and make your voice heard. Bring a first-time voter to the special area of the event called the "First Time Voter Experience." After the rally and march, we'll early vote at the Super Site at 175 W Washington. Our spirited 43rd Ward group, made up of men, women, and students welcome you to join us! According to the Chicago Tribune, Armitage is now the " go-to destination for online retailers to open brick-and-mortar stores." 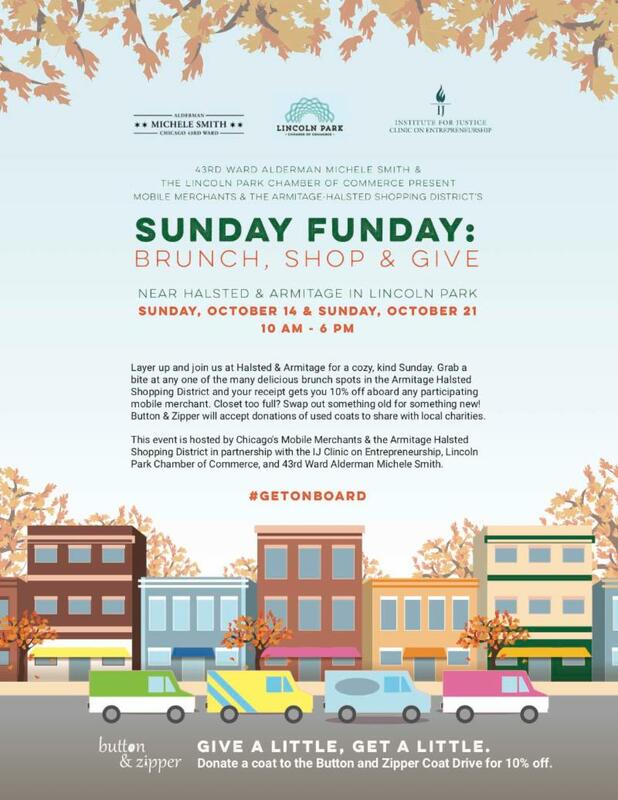 This Sunday, October 14, enjoy shopping at the newly rejuvenated Armitage/Halsted corridor with more than 120 shops, restaurants and boutiques, including the singular Chicago or the Midwest guideshops for Serena & Lily Tovala, Peruvian Connection, Black Tux, The Tie Bar flagship store, Margaret O'Leary, Via Strozzi, Pogo, State and Liberty, Helen Ficalora, May & March, essentia, Calvin Tran, Laudi Vidni, and Interior Define. And don't forget these only in Chicago merchants - Bela, Read It and Eat, Art Effect, All She Wrote, and Tabula Tua, as well as dozens more. Join us for a second community meeting to consider an incidental liquor license for a proposed new Taco Bell Cantina restaurant. Our office will be present to monitor the discussion, take notes, and record your feedback. Join my office and PWCA to engage in a direct dialogue with the development team to gain a better understanding of this proposal and obtain answers to your questions. Join us for a second community meeting to consider a revised development proposal for 800-802 W. Altgeld Street. The applicant has revised its earlier proposal and has reduced the proposal from a five story to a four story transit-oriented building reducing the number of units from 14 to 11, along with 3200 square feet of ground level commercial space fronting Halsted Street. Our office rejected the initial proposal after our first meeting and directed the applicant to come back with a revised plan. Our office will be present to monitor the discussion, take notes, and record your feedback. 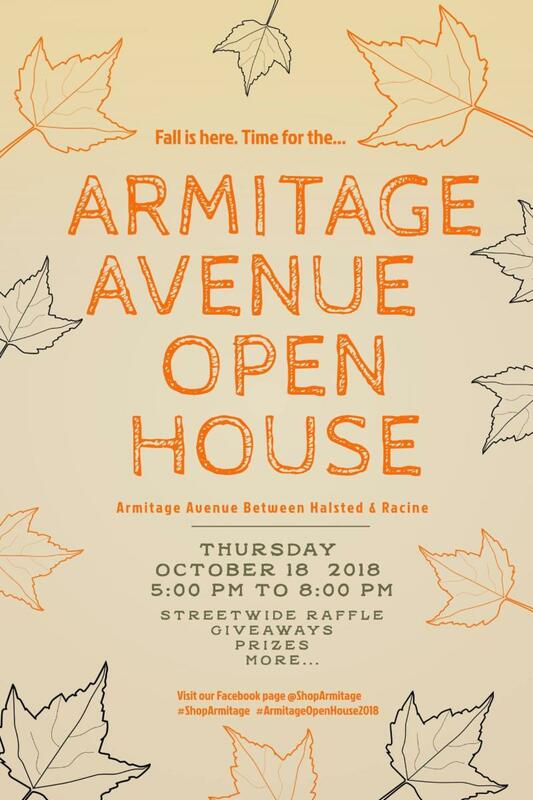 The fun continues on Armitage Thursday night for an Open House at the local merchants. Look for a street-wide raffle, giveaways, prizes and more! But you have to be there to participate. Look for special offers on their Facebook page. 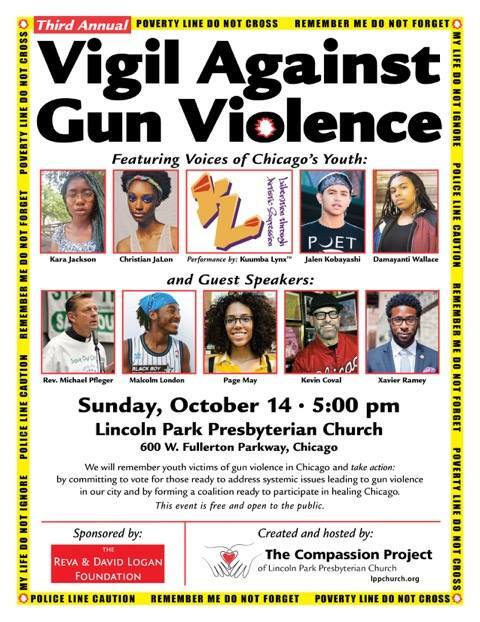 Chicago Moms Demand Action invite you to attend a Vigil Against Gun Violence in Lincoln Park, featuring voices of Chicago's Youth. An important presentation about how to stop more youths from becoming victims of gun violence. A dessert reception to follow. 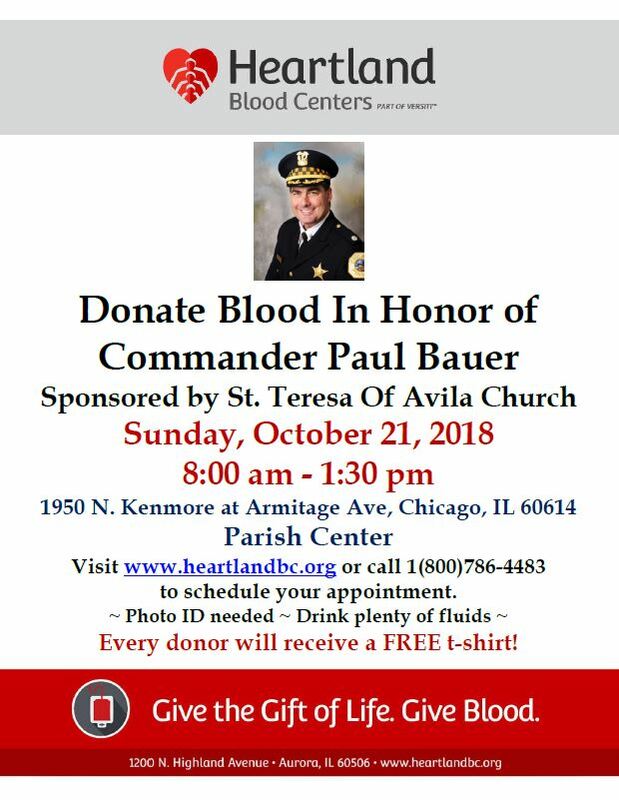 Heartland Blood Center will be hosting a Blood Drive at St. Teresa's Parish Center. Drink plenty of fluids and bring your photo ID. Every donor will receive a complimentary T-Shirt. Visit www.heartlandbc.org or call 1-800-786-4483 to schedule your appointment.